How to Transfer Text Messages/iMessages to iPhone Xs/Xr/Xs Max? Did you just get the new iPhone Xs/Xr/Xs Max? Once the novelty of the new device fades, you will immediately begin wondering how you can get data from your old device to the new one. The best way to do that is to restore a backup. But what if you have some text messages that are not on any of your backups? Or, what if you want to restore only text messages to your new iPhone? In this article we are going to explore the numerous ways you can transfer your text messages from your old iPhone to the new iPhone Xs/Xr/Xs Max. What if there was a way to transfer only messages from an old iPhone to your new iPhone Xs/Xr/Xs Max? Well, there is and it is known as iMyFone iTransor. 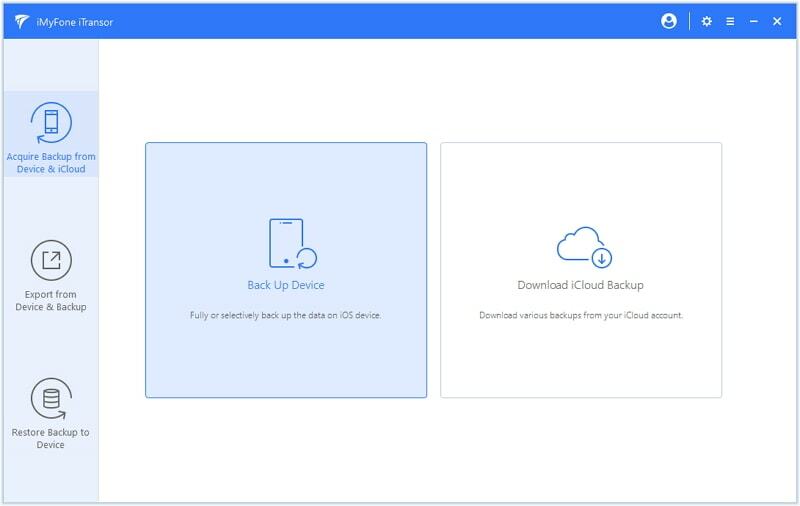 This great backup and restore tool is very useful when creating full backups or partial backups of the data on your device. It also comes in handy when you need to restore the backup to the device or a new one. What's even more magical about this tool is that you can selectively restore data. 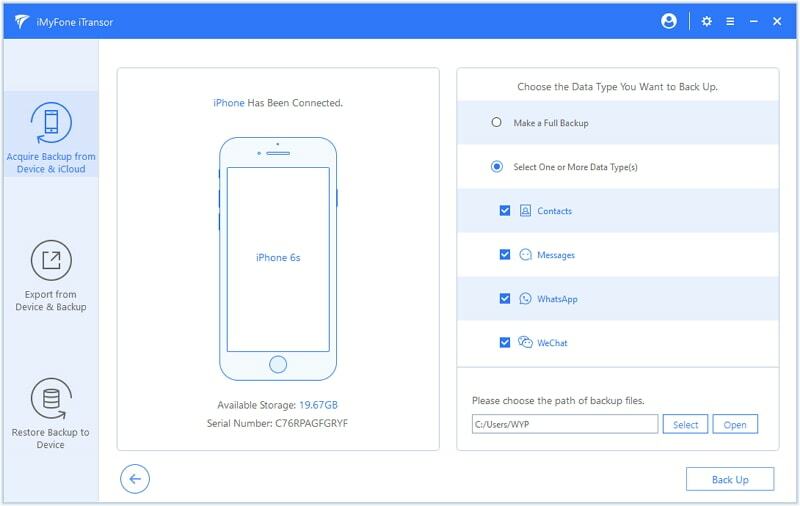 This program can be very useful for transfer just your contacts, messages, WhatsApp or WeChat data from one iPhone to another one. 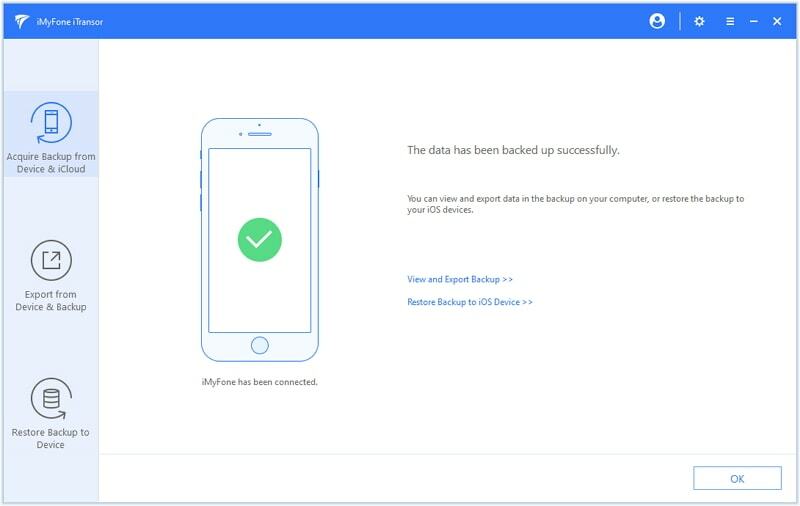 You can also restore certain data from an iTunes/iCloud backup to your iPhone Xs/Xr/Xs Max without affecting the other data on the device. You can also export nearly 20 different types of data from your iCloud/iTunes backup or the iPhone. It is compatible with all iOS versions, including iOS 12. Step 1: First, back up the messages on the old iPhone. 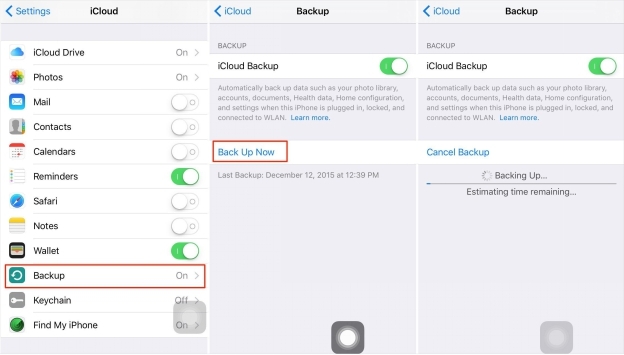 Launch the program and on the main program, click on "Acquire Backup from Device & iCloud." Click on "Back Up Device." 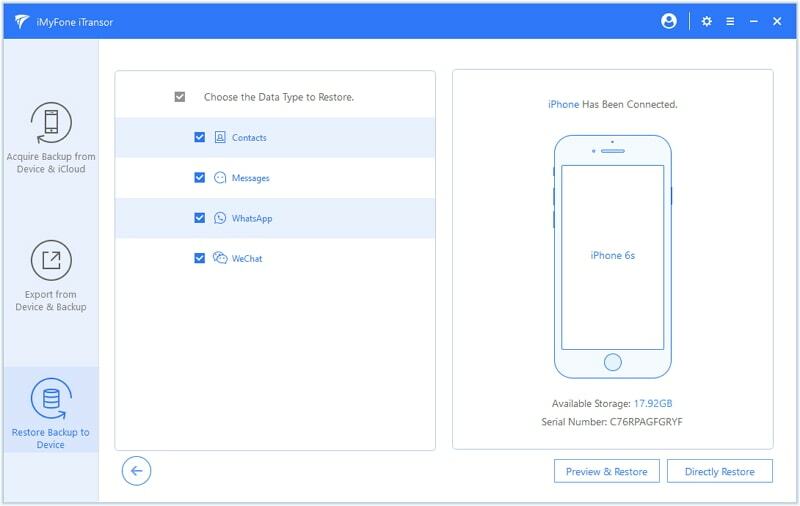 Step 2: Connect your old device and once the program recognizes the device, click on "Select One or More Data Types" and then make sure "Messages" is chosen. Step 3: Now click "Back Up" and the process will begin. You will be notified when the process is complete. Step 1: On the main window, click on "Restore Backup to Device" and then choose the iMyFone backup we just created above. Click on "Next". Step 2: In the next window, choose "Messages" as the type of data you want to restore and choose "Directly Restore." Step 3: In the popup window that appears, choose to "Merge" or "Replace" with existing data on the device. Step 4. After the process of restore is complete, you can view and use your messages/iMessages on your new iPhone. 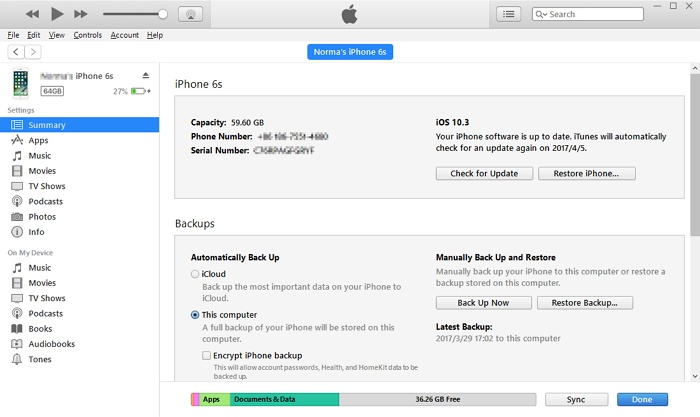 You can also back up the old device and then transfer the text messages to the new device by restoring the backup. But while this process may be effective in helping you get the messages to the new iPhone, you will not be able to restore only the messages; you can only backup and restore all data and settings. Step 2: When the device appears in iTunes, click on it and then click "Back Up Now." Step 3: Wait for the process to complete and go to iTunes Preferences > Devices to verify the process was successful. Step 1: Turn on the iPhone Xs/Xr/Xs Max. You should see the "Hello" screen. If you had already set up the device, you will need to erase it to get to this screen. Step 2: Follow the steps until you get to the Apps & Data Screen and choose "Restore from iTunes Backup." Step 3: Open iTunes and then connect the device to your computer. Select it when it appears in iTunes. 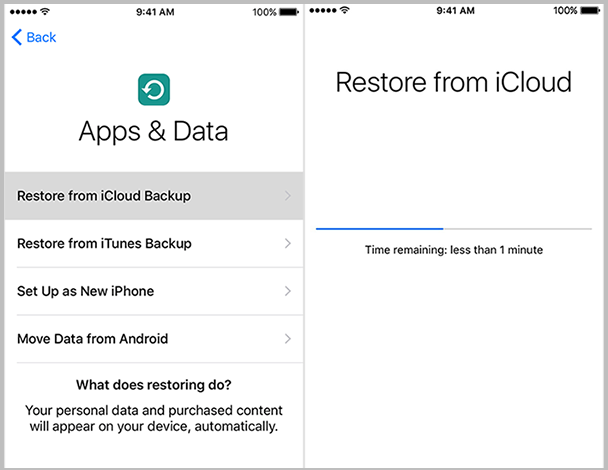 Step 4: Choose "Restore Backup…" and then choose the backup that we created earlier. Keep the device connected until the process is complete. You can also use iCloud to transfer text messages from your old iPhone to the new one. But like iTunes, you may not be able to restore only messages and iCloud also only offers 5GB of space which may not be enough to back up all data on your old iPhone. Step 1: We begin with making an iCloud backup. Connect the old iPhone to a Wi-Fi network and then go to Settings > Your Name > iCloud > iCloud Backup. 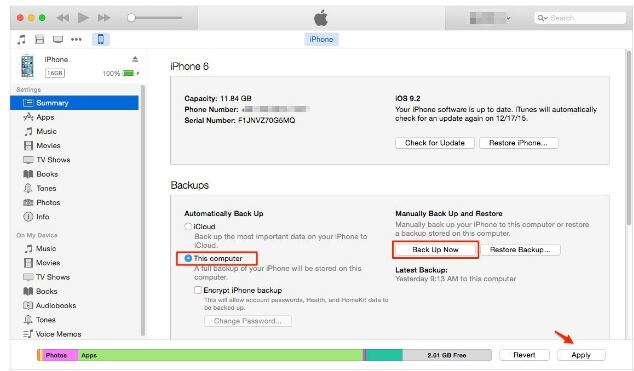 Step 2: Make sure that iCloud Backup is turned on and then click on "Back Up Now." Step 3: Keep the device connected to the Wi-Fi network until the process is complete. Step 1: Turn on the device to get to the "Hello" screen. If you had already set up the device, erase it before you can continue. Step 2: Follow the instructions to join a Wi-Fi network and when you get to the "Apps & Data" screen, tap "Restore from iCloud Backup." Step 3: Sign in to iCloud and choose a backup. Keep the device connected to a Wi-Fi network until the restore process is complete. iTransor is a far more beneficial solution for transferring data from an old iPhone to a new one for various reasons. 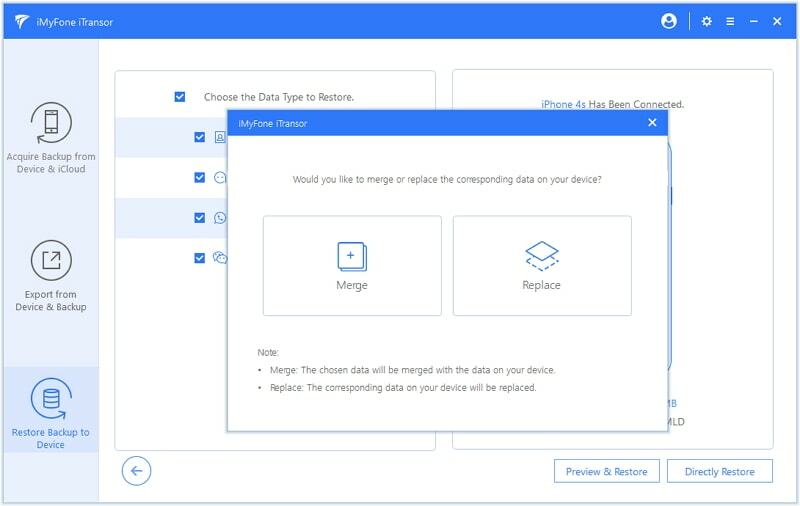 It can merge the data on the old iPhone with data on the new iPhone if you have set up and used their new iPhone Xs/Xr/Xs Max, eliminating the need to erase the new iPhone before transferring data. 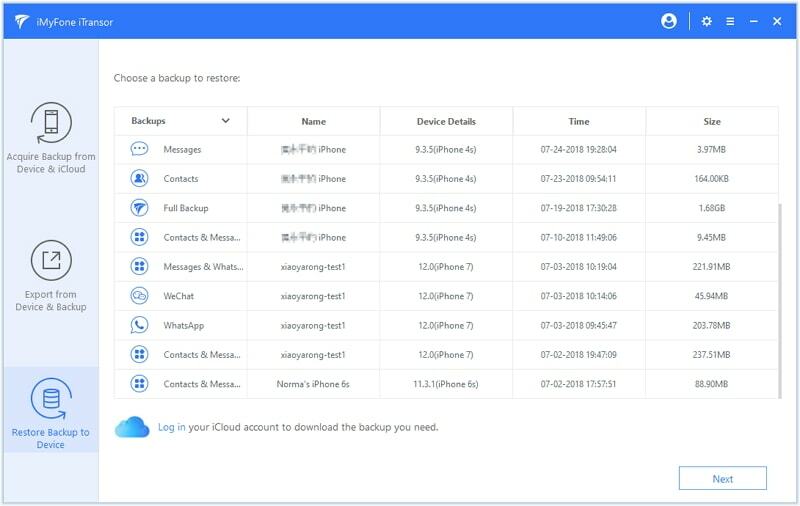 You can also use it to create a full backup of all the data or the certain types of data on your iPhone Xs/Xr/Xs Max to safeguard against data loss in the future. Click the post to learn more. Using the new iPhone Xs/Xr/Xs and need to download photos from iCloud to the device? Here the post offers very easy methods to help you do this. With the solutions listed above, it should not be very difficult to transfer text messages/iMessages to iPhone Xs/Xr/Xs. In particular, iMyFone iTransor allows you to do that without the risk of data loss. Download its free trial version to give it a shot now!